Rent cottages in Dunsford, England. 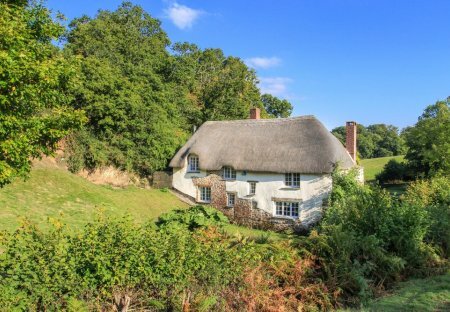 ‘Interiors' magazine described Brooks Cottage in 1990 as being ‘a cottage that grows out of field in Devon. Meadow grass and wild flowers creep up to the cobbled front step.